Dazzling Cafe is launching their NEW MENU on this day!! Bring your girlfriends(or boyfriends!) 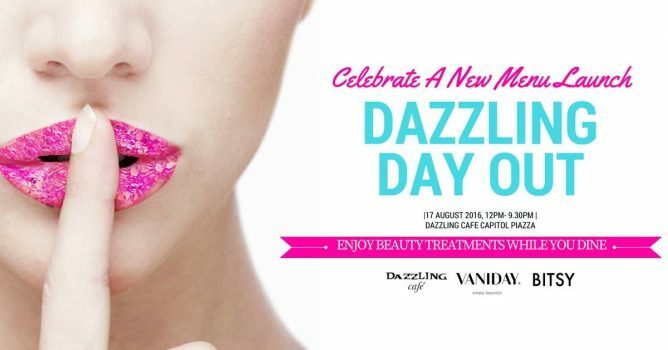 down and enjoy a dazzling day out— be first to try the new delectable mains and sweets from Dazzling Cafe 蜜糖吐司專賣店 Singapore, enjoy treatments from Vaniday's beauty booths at never-before promotional prices, and shop trinkets from Asian designers. Shh..it's a date..Join us for lunch, afternoon tea or dinner! Stand a chance to win free beauty treatments and meal vouchers for two when you call and make a reservation today. Limited slots only. 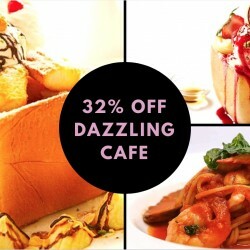 Try the popular Signature Honey Toast at Dazzling Cafe with a Pasta/Risotto at 32% off! Get the coupon from Groupon here for $49.90 (worth $73.47) now!